The booklet offers comprehensive guidelines to protect oneself from fraudulent activities and provide the necessary information to live and work in the State of Hawaii. 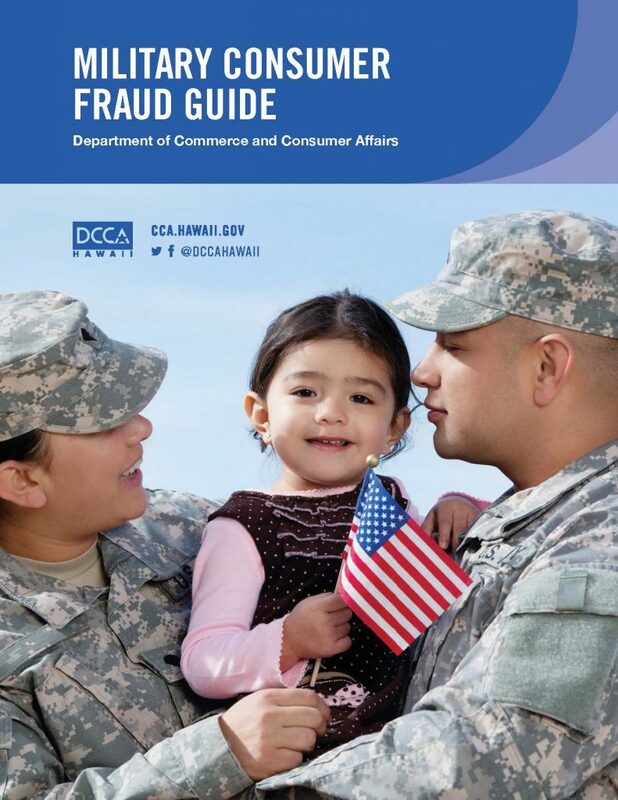 Information about various issues and consumer topics that often affect our military community are highlighted within including housing, buying a car, payday lending, identity theft, and more. It also provides insight into laws and regulations that are important to know such as attaining a professional license or starting your own business. Single copies are available by calling the Consumer Education Program at 586-2760. Please leave your full name, mailing address and call back number. 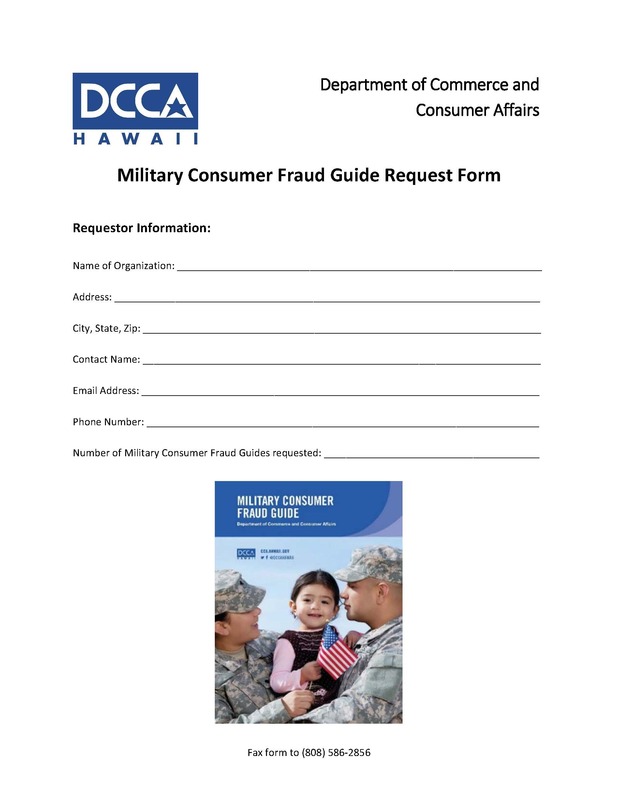 For bulk orders of the booklet, please download the Military Consumer Fraud Guide Request Form and fax your request to 808-586-2856. 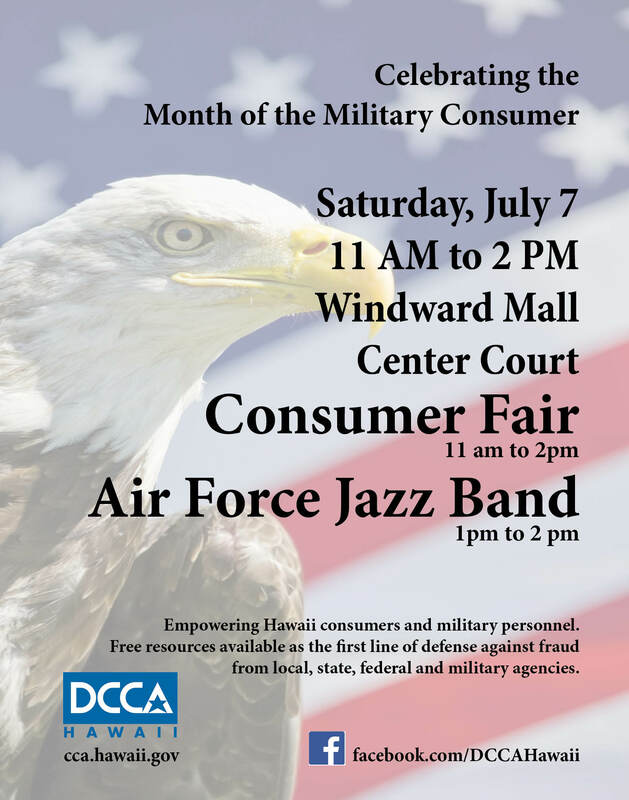 To kick off the month, the Department of Commerce and Consumer Affairs (DCCA) hosts a consumer protection fair within the community to provide resources as the first line of defense against fraud and for the public to make better-informed decisions when managing their money. The event brings together dozens of participants from the various military branches, community organizations, and state Government. 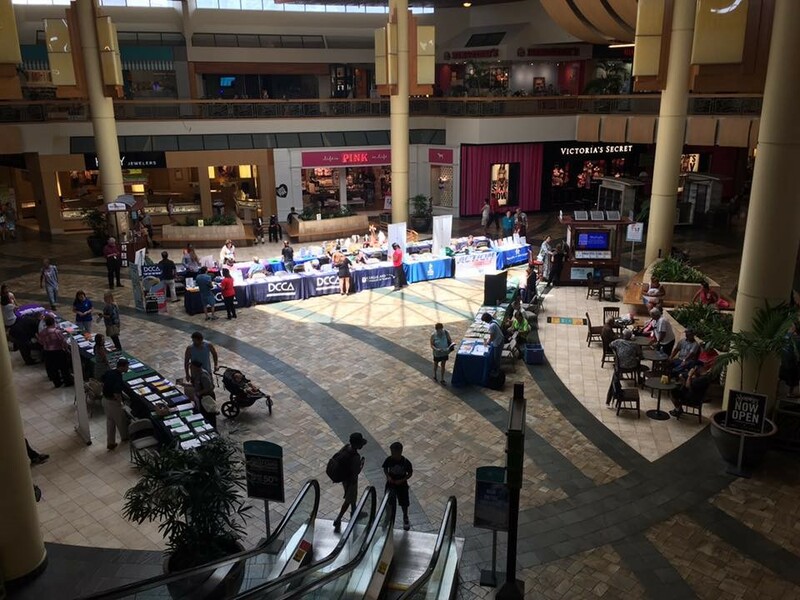 Join us for the 2018 consumer fair at Windward Mall! 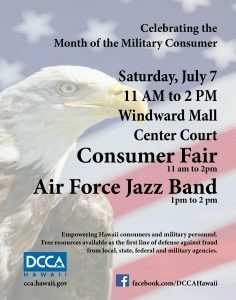 Additional information and resources for consumers may also be found on the federal Military Consumer Protection website: http://military.consumer.gov.